LL.M. in Banking and Finance. ESTUDIO REBAZA ALCÁZAR & DE LAS CASAS ABOGADOS FINANCIEROS, Senior Associate. LA FIDUCIARIA S.A., Legal Advisor. 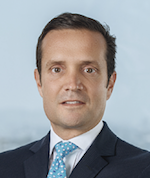 BANCO WIESE SUDAMERIS (hoy Scotiabank Perú), Associate. COTECNA INSPECTION S.A., Legal Advisor. ESTUDIO YORI & BUSTAMANTE ASOCIADOS, Associate.